The Key to Making the #GlobalGoals a Reality. 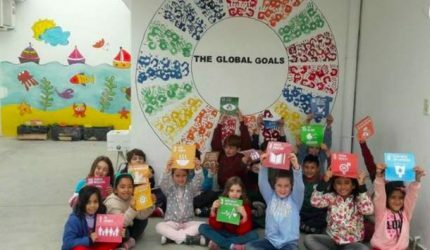 The World’s Largest Lesson was created with the ambition of ensuring that every child in the world knew about the Global Goals. We’ve been amazed at the response to this call to action, with over 2000 submissions from over 60 countries to the interactive Gender Equality map, new for this year. But we don’t want the interaction between young people and the Global Goals to begin and end with the World’s Largest Lesson. We need the next generation to take action on the Global Goals if we are to achieve them by 2030. That’s why we made them the stars of our animation. Melati and Isabel, Elif, Urban Creators, Rohit, Discardious and Muzoon are all real people making a positive change in their local communities. The achievements of these young people may appear daunting to some students learning about their stories, but every child can make a difference if they put their mind to it. 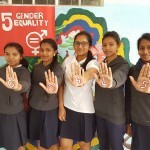 We were contacted by Rupashi, Keshini, Ojashwini, Vidya and Kirtee, five girls from a school in the north of Mauritius who were passionate about achieving Goal 5 (Gender Equality). As well as completing our #FromWhereIStand survey, they put together a presentation about the results they found from the survey and looking at how the world stands at the moment regarding gender equality. 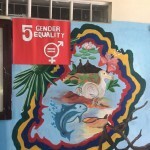 They also created this banner to celebrate Gender Equality. 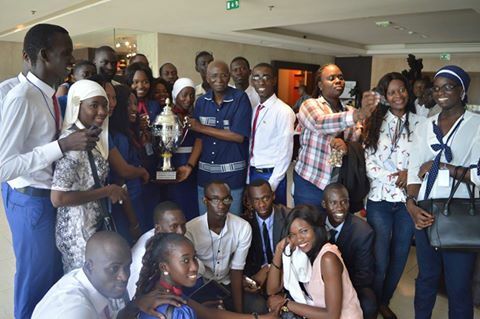 Another group of young people innovating are are a team from the University of Thiès in Senegal, entrants in this year’s Enactus World Cup . Their project brings together Goal 5 (Gender Equality), Goal 8 (Decent Economic Growth), Goal 9 (Industry, Innovation and Infrastructure) and Goal 12 (Responsible Consumption and Production). The team helped a group of women in Mballing to set up a business turning discarded snail shells into calcium carbonate, a mineral useful in agricultural practices. To date, the team has impacted nearly 1,600 people, launching four businesses and creating over 530 jobs. Enactus projects are making a significant difference around the world: in the past year, Enactus students volunteered 7 million hours, creating and implementing 4,100 projects that impacted 1.2 million people. 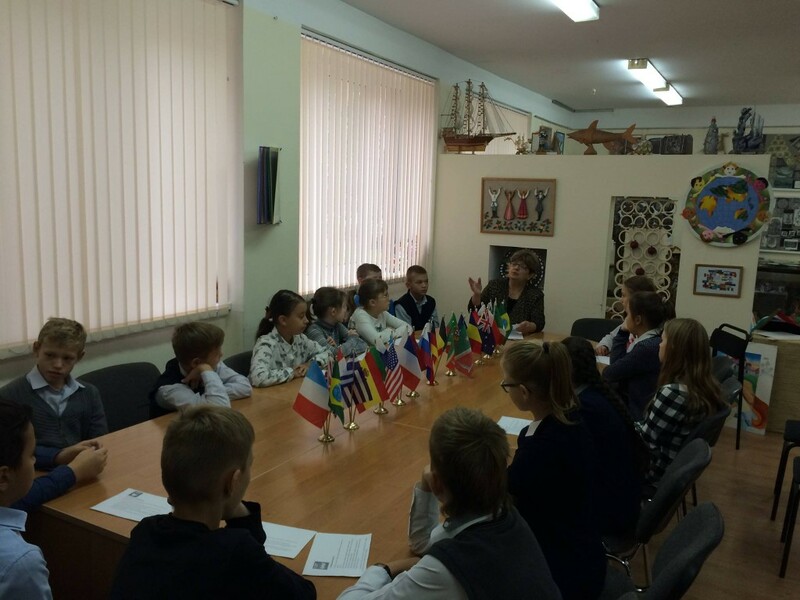 As part of their World’s Largest Lesson, Lyceum 1557 in Moscow has set up a project called the ‘Diplomacy School LOCUS STANDI’. 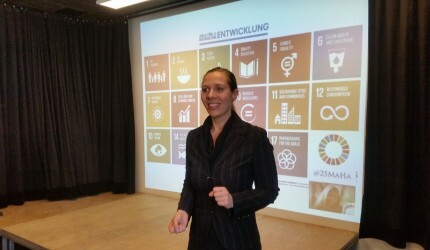 They held their first meeting on Monday, where they discussed the Sustainable Development Goals and what they could do to help. Discussing and debating the Global Goals is a great way of encouraging deeper engagement from students with the issues underlying the seventeen goals. Take a look at this lesson plan if you’re looking to support critical debate of the Goals in your classroom. World Merit’s 120,000+ strong network is taking a lead when it comes to pushing such initiatives because of its commitment to tackling the Global Goals. Tatiana Sharpe (20) from Zimbabwe is an Action Plan Executor at Merit360 and is committed to tackling Goal 16: Peace, Justice and Strong Institutions. 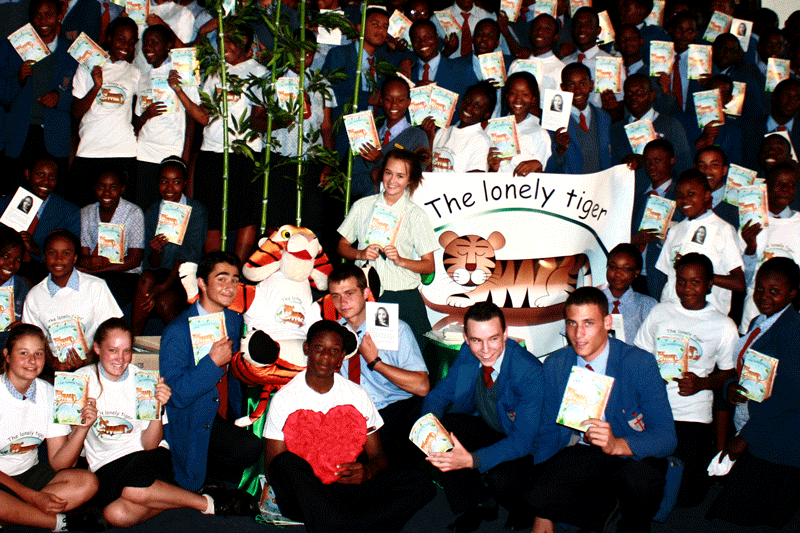 Tatiana wrote and illustrated her own book called The Lonely Tiger at the age of eight. All the proceeds went to providing children in Zimbabwe with textbooks and food. Partnering with the youth parliament of Zimbabwe at 14, Tatiana launched her own trust, Tariro Nevana (hope for the children), assisting street connected children. Special thanks to the World Merit community this year, whose members have helped translate our animation into multiple languages! 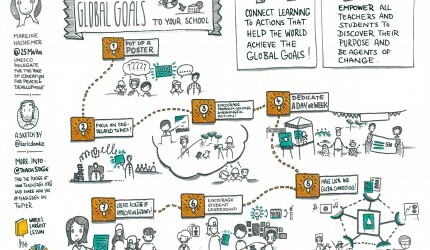 Do you know young people taking action for the Global Goals? Are you taking action as part of the World’s Largest Lesson? We’d love to hear your stories! Please share them with us on Twitter, Instagram or Facebook, or email lesson@project-everyone.org so that we can celebrate them with the World’s Largest Lesson community through social media and share them to inspire to others!